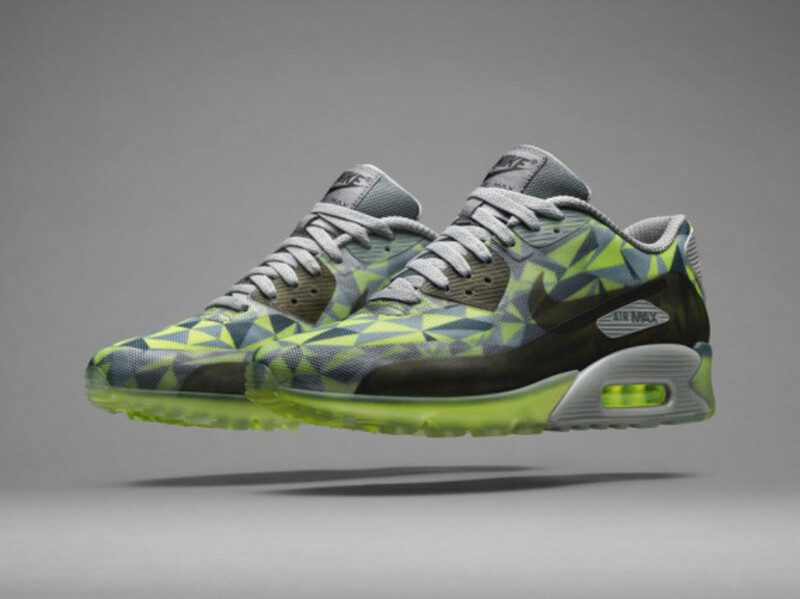 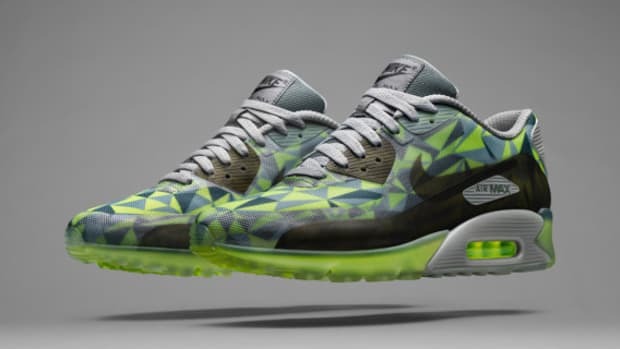 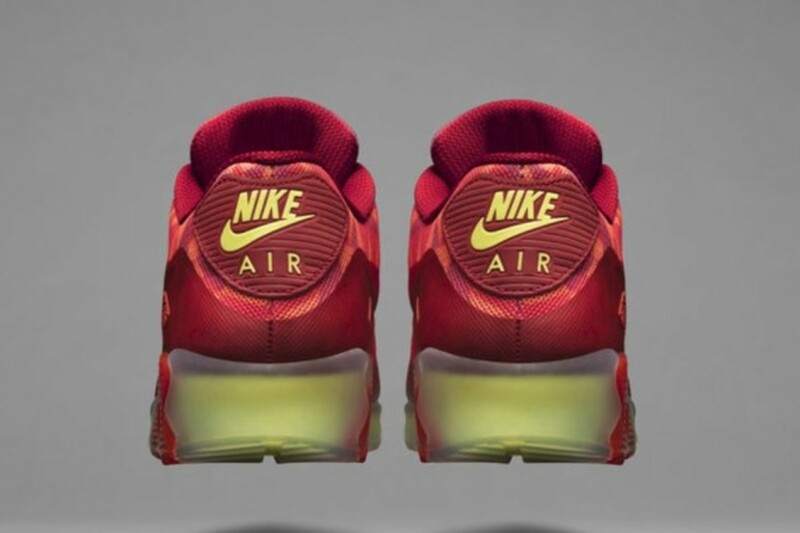 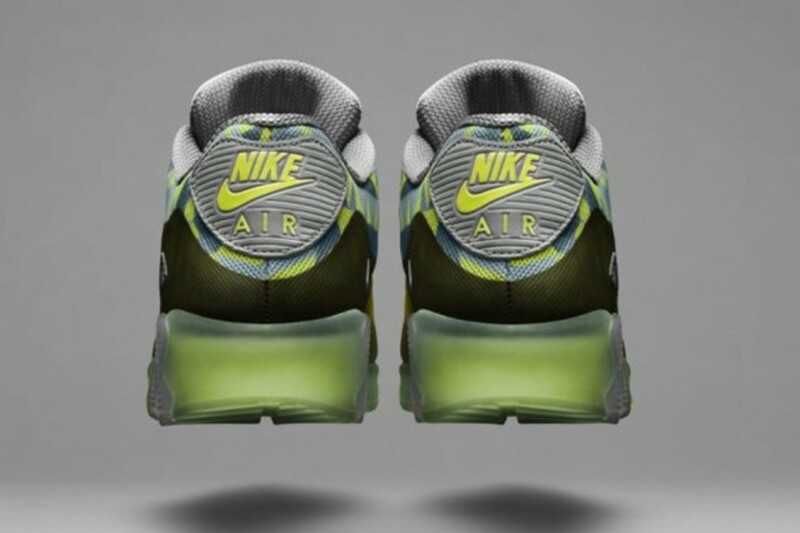 Instead of dreading the usual seasonal danger, Nike decides to embrace it with their new Nike AIr Max 90, which is set to debut in the new year. 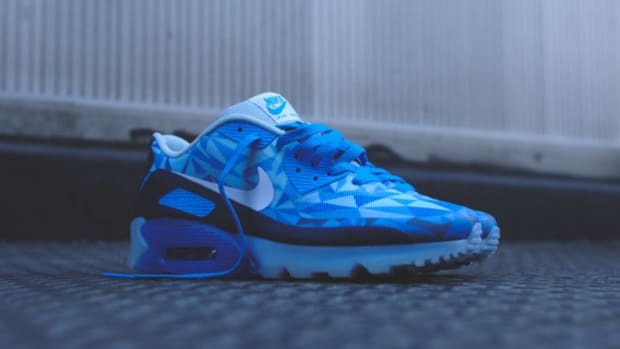 Dubbed the Nike AIr Max 90 ICE, the silhouette proves that it doesn&apos;t have any plans on letting up, even almost 25 years since its initial release. 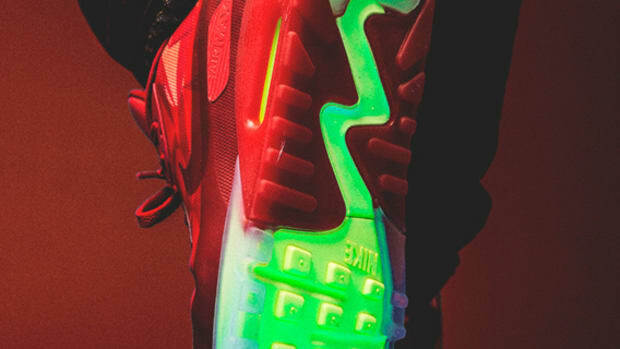 Featuring an attention-grabbing upper made-up of a mesh and geometric patterning underneath, the drop comes in two colorways; a combination of reds and another in shades of green. 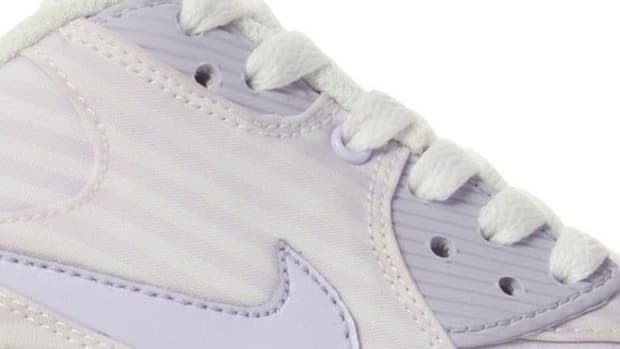 Both also offer up icy, translucent outsoles to give the sneaker its name and a set of tonal laces and liners. 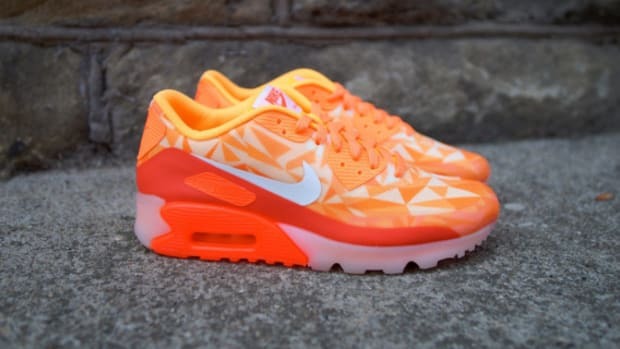 Continue after the click for more looks at this crystalline drop, which is expected to hit in February 2014. 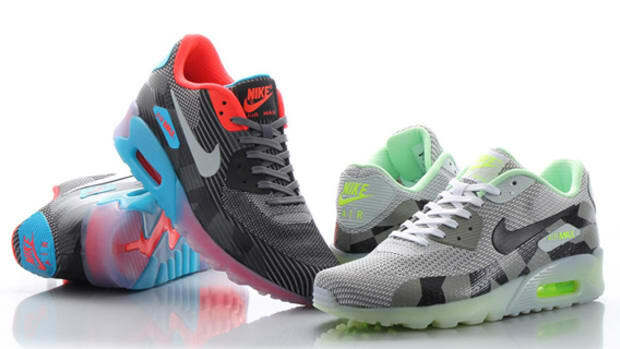 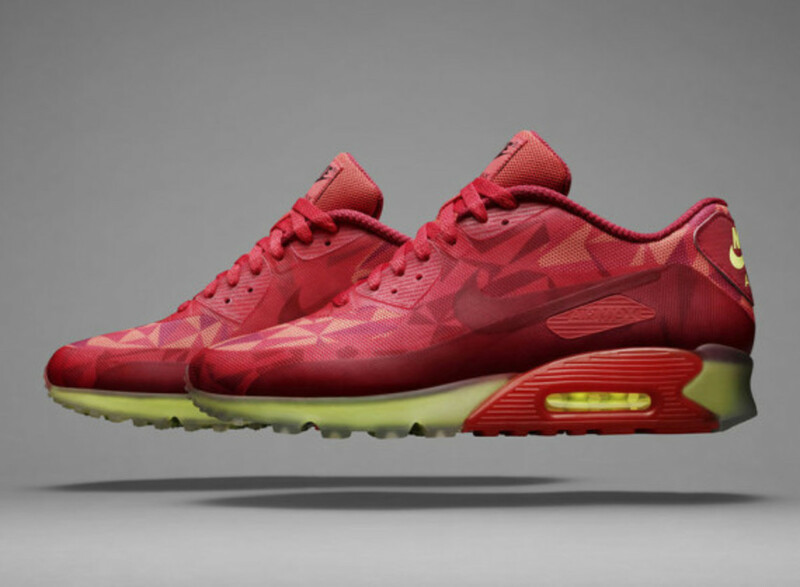 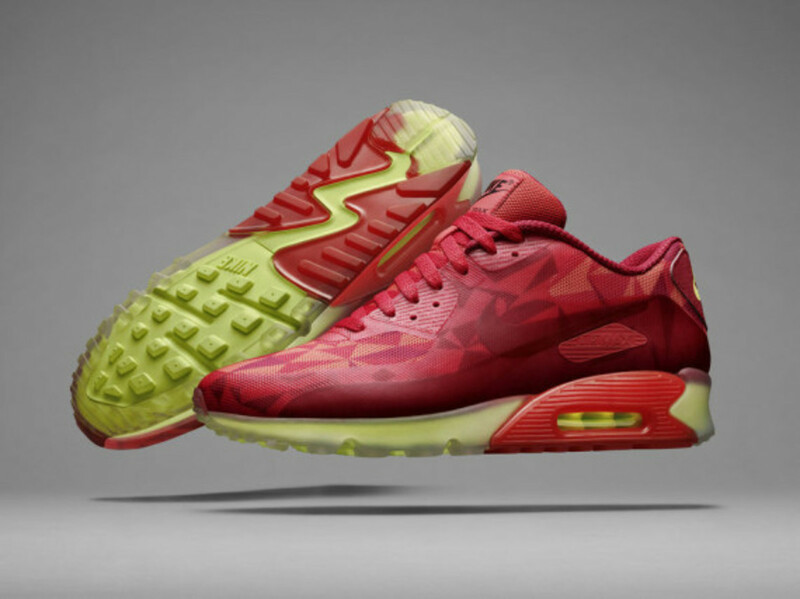 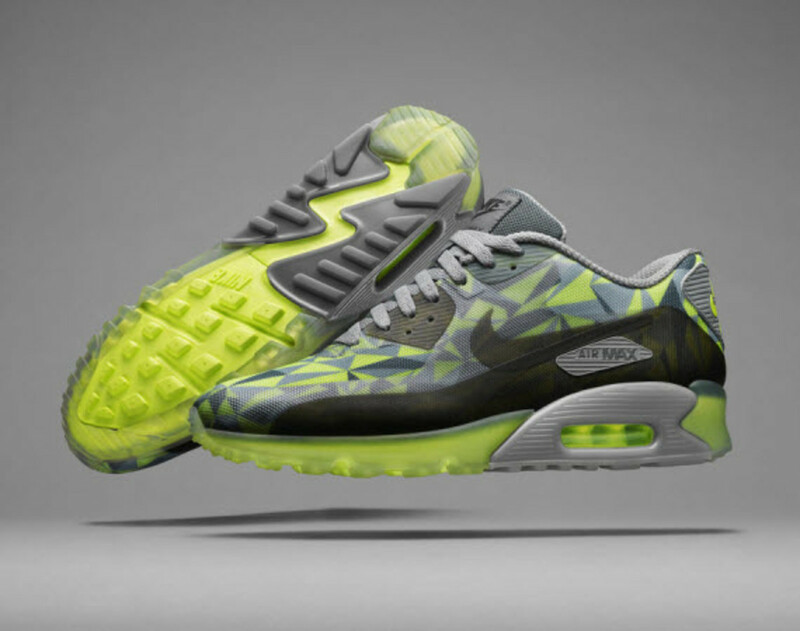 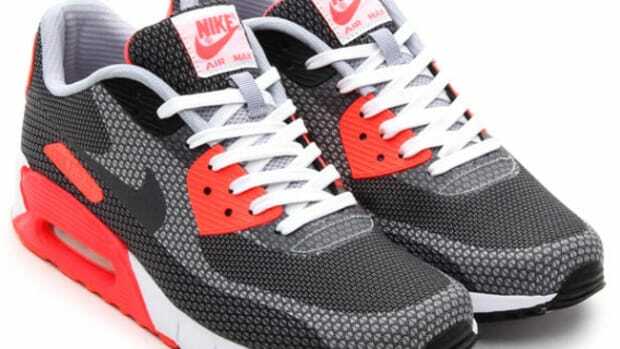 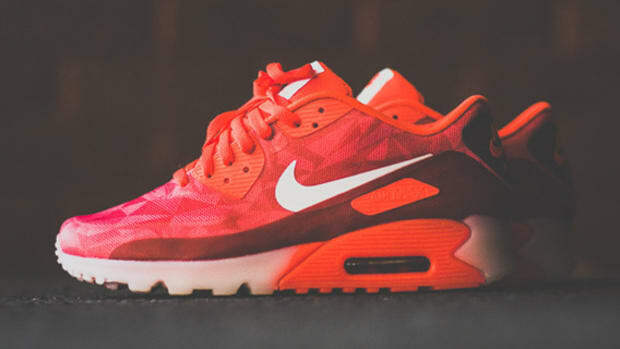 Nike Air Max 90 "Stripes"
Nike Air Max 90 ICE - "Atomic Mango"
Nike Air Max 90 Ice - "Gym Red"